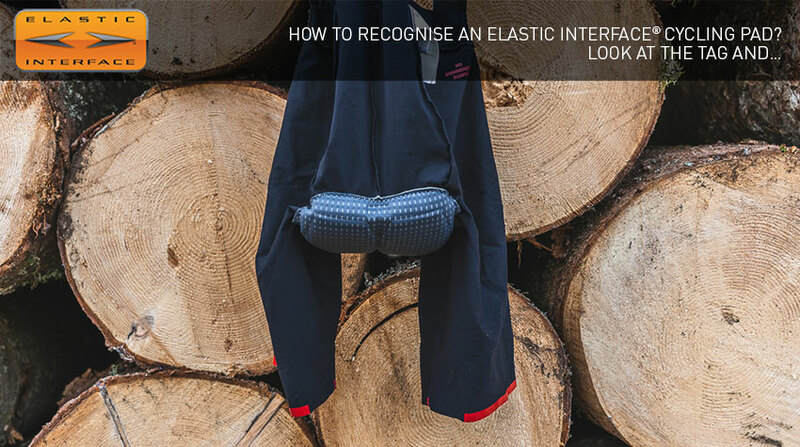 You are looking for your new cycling shorts, or perhaps you are trying to find the perfect present… but you are always back to the same: does the cycling bib you spotted have an Elastic Interface® chamois? Do you know how to identify one? It is not particularly difficult to recognise…on the contrary! Starting from the tag: the first sign that one of our pads has been used in a pair of cycling shorts is the tag that hangs with that of your favourite brand. An orange logo, two black arrows and the very words Elastic Interface®, and this is it! An orange woven label, sewn into the seams on the shorts’ back, may also be present to help you in this sort of treasure hunt. Again, with the two black arrows. But if you want to be 100% sure, look inside the bib shorts and find our logo embossed on the pad itself. At this point, you will be sure that what is in front of you is a product that has been manufactured on our premises, using technologies of the highest quality and environmentally sustainable practices. In this respect, please visit our web page dedicated to sustainability to find out more interesting facts about the latest developments. We value our customers and when it comes to the choice of the padding for their cycling shorts or tights, they all decide to rely on Elastic Interface® to enhance the value of their collections. We partner all major brands of cycling apparel: we provide them with chamois that boast very technical specifications and top-notch performance. Some choose us for their whole collection; others just for some of their lines of products. Then there are those who opt for developing a whole, customized project with us. 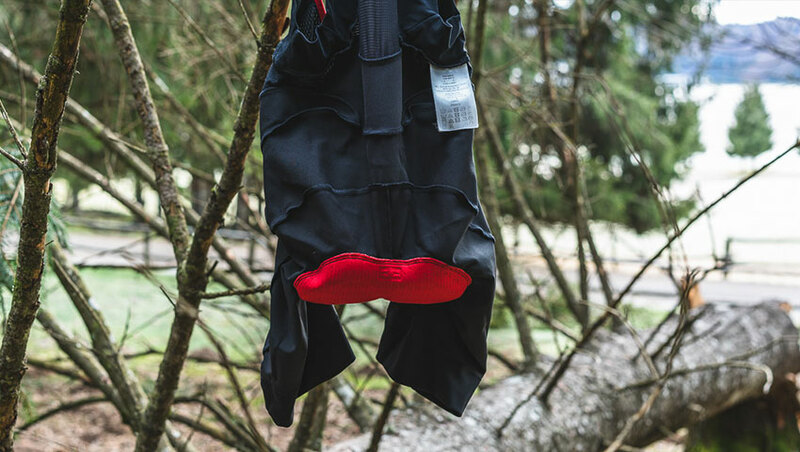 With brands that have chosen us for 100% of their collections, rest assured and just choose the bib shorts you like most. With those brands that have adopted Elastic Interface® only for some lines of products, however, you will need to make sure that the pad you are going to buy is authentic. All those brands that have developed a customized project with us are listed with a starred logo in our dedicated web page. This is because when a new project comes together, we provide our clients with the professional expertise they need in order to develop the product they have conceived and ultimately want. In addition, we help our clients realise and make their vision come true with a product that is highly functional and loaded with technical features. 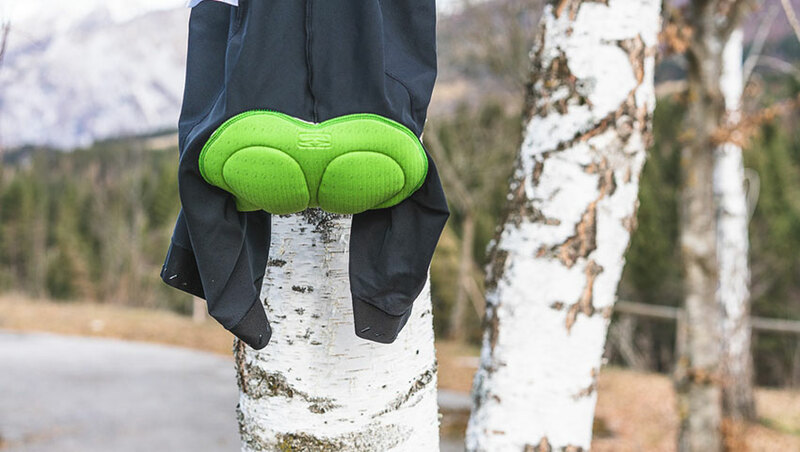 As a result, a custom project comes to life: cycling pads that are developed and offered exclusively to a particular client. Look for the star mark in our ‘Brand‘ web page and discover all custom projects that boast the Elastic Interface® signature! You will find a wide selection of products, organized according to the different disciplines, with a number of women-specific models too. Click on this link and… find yourselves in the world of the Elastic Interface® cycling pads. Our catalogue includes the categories Road, Mtb, Triathlon, Crossover, Urban, Training, Kids. A very complete range with a number of new exciting products, starting with MTB Trail Hybrid, a MTB chamois introduced to the public for the first time during the last Eurobike show in Friedrichshafen, Germany. And speaking of great news, find here our latest innovation in the field of R&D: the Mechanical Characterization Method. We’ll be back soon and remember: always aim at high-quality cycling pads, with the orange logo and two black arrows. And… keep following us on blog and social media!